I did modify my last post, but it's not showing that now. That's ok, just wanted ya'll to know that I'm not crazy. Hi Magnolia, great to see you! I kid you not Ono, in the early days when this case took off SM went from 1000 views a day to 1000 views every 10 minutes. Tom and I used to winder how we were going to not have the site crash. It was like Mr Scott of Star Trek fame, when Captain Kirk would say ... Scottie I need more power. We were winging it. And then that server bill came in and my jaw hit the ground. For the folks that were with us in the beginning when SM was featured on CNN, a show called Inside the Blogs, they were fascinated by this little upstart called SM that was breaking stories way before the MSM. The truth is and I can say it now, many media folks were using SM as their sources and for background but never told their producers. Back then, Blogs were considered evil by the MSM and most of them had no web presence. My how things have changed in just 10 years. I had a very simple computer, and dialup. By the time my page would refresh sometimes, I would be behind three pages. I can laugh about it now, but it was soooo frustrating then. Wow!! Great to see you Magnolia! Tremendous! The newspapers and television here have been all about this story. That's great to hear, Magnolia. Anyone watch Greta's program on Fox News last night? Although it was a good reminder of how Natalee's investigation has been such a travesty, it did not really contain any new information. Guess it was put together prior to the latest witness situation. Beverly Sutton Young That's what I was thinking the new evidence was after it was taped. .
Oh so not true. I gave everything to Greta and more. I think Beth is on the side of showing her life, and Dave is the one that goes out and gets the dirty work done. Dave also has the same info that Greta has, so that shows the 2 different ways of how the 2 work. But don't forget, "inside Edition" is supposed to be in charge of the new witness info. I was actually going to Aruba with them for the 10th year so they could see some of the inside of what we all do, however I'm guessing the people who wrote the book Portrait of a monster got the role. Both Dave, and Beth know exactly who we are and what we have done, and continue to do. I am just praying this new lead is what we all need for closure and to let Natalee come home and be put to rest here. Frances Loper Corwin I did not see the program. Debbie Groover The program airs again this Friday night (05/22) at 6:00 pm central time. Check your listings for On the Record Fox News. Vicki Davis Debbie Groover how are you? I hope I can log back in at bfn? Thank you for the update.. I got so angry because I too was going back there with Kath.. It was around this time ten years ago when the disappearance of Natalee Holloway dominated news headlines across the country. 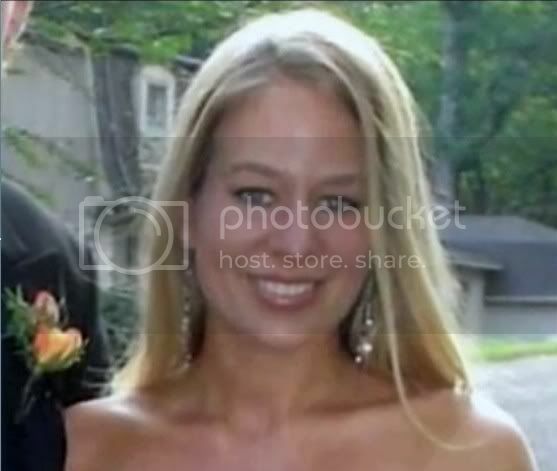 The Mountain Brook teen vanished while on a trip to Aruba with other graduates in her class. While her case has never been solved, her parents have never given up hope her body will be found. The whole ordeal has been a nightmare for Dave Holloway. "I think we've lived through probably most parents' worst nightmare." It's been an endless parade of lies and false hope from the key suspect, and every so often a glimmer of hope that he will finally know what really happened to his daughter. Met Holloway at his office in Mississippi where he maintains a low key lifestyle. He now has a granddaughter by son Matt. "It hadn't really sunk in yet. It's like i'm getting old!" said Holloway with a big smile. Natalee's two half sisters are growing up fast and enjoy cheerleading competitions. "We're a little more protective of our children. There will certainly be no out of the country excursions without us," says Holloway. Natalee would have turned 29 later this year and likely have graduated from Alabama and maybe made good on plans for medical school. He dad says she was an excellent student. "I just wish we had an answer." Frustrations with the Frustrations have lingered for ten long years. Politics, money, corruption.... the story had all the makings of a soap opera played out on an international stage. "I just can't imagine three guys who are 17-18 years old that they could not be interrogated by police officers and not break em,". He was back in Aruba recently after an alleged witness re-surfaced saying he saw suspect Joran van der Sloot with Natalee at a Marriot hotel which was under construction. But police in Aruba have quickly discounted his claims saying his story doesn't match up with the construction timeline at the hotel. The witness said Natalee was dead and van der Sloot hid her body. He claims he didn't come forward at the time because he was involved in illegal activity. Joran van der Sloot is serving 28 years in Peru for murdering another young woman. Seriously? It's one thing sleuthing and supplying information to an investigation and another completely inserting yourself into an investigation. No truer words have ever been spoken and thus the case was seriously compromised within its inception. Aruba never thought the Holloway/Twitty families would mobilize so quickly and they never comprehended this would become the #1 story of 2005. They thought they could brush it under the Divi divi tree like they had done so often. A part of me wonders had this disappearance took place in 2015 that the case would have been solved because of the immediacy of Twitter, FB, etc. The man, identified as Jurrien de Jong, insisted that Holloway was buried under a staircase of the Marriott Hotel in Aruba, prosecutors said. They said his claims led chief prosecutor Eric Olthof to ask that Aruba police contact Marriott's management office in Orlando, Florida, to determine when the hotel's Spyglass Tower and its staircase was built. Marriott officials said neither the tower nor its staircase had been built when Holloway disappeared, prosecutors said. Absolutely, Klaas. My sentiments exactly! T.J. told Dana last night during the program that he was waiting for a reply from Marriott Corporate in Bethesda [Maryland], for permission to search. The headline on this story is complete BS. Since when did Aruban officials "chase" anything in this case! ORANJESTAD, Aruba (AP) — Aruba prosecutors said Wednesday that yet another tip about the location of U.S. teen Natalee Holloway's body turned out to be false. Authorities said they had received a tip from a man who previously claimed to be a witness to Holloway's disappearance on May 30, 2005. The man, identified as Jurrien de Jong, insisted that Holloway was buried under a staircase of the Marriott Hotel in Aruba, prosecutors said. They said his claims led chief prosecutor Eric Olthof to ask that Aruba police contact Marriott's management office in Orlando, Florida, to determine when the hotel's Spyglass Tower and its staircase was built. Marriott officials said neither the tower nor its staircase had been built when Holloway disappeared, prosecutors said.